The world number one was competing in her fourth UK title match following comfortable wins against Ploychompoo Laokiatphong and Jaique Ip Wan In earlier in the day and was looking to maintain her 100% record with victory against the current world number four. For Kenna it had been a tougher route to the final after she followed up her career-best triumph against Reanne Evans on Saturday evening with a 4-3 comeback victory from 3-1 down against 18-year-old Thai prospect Nutcharut Wongharuthai to reach her second women’s ranking final. 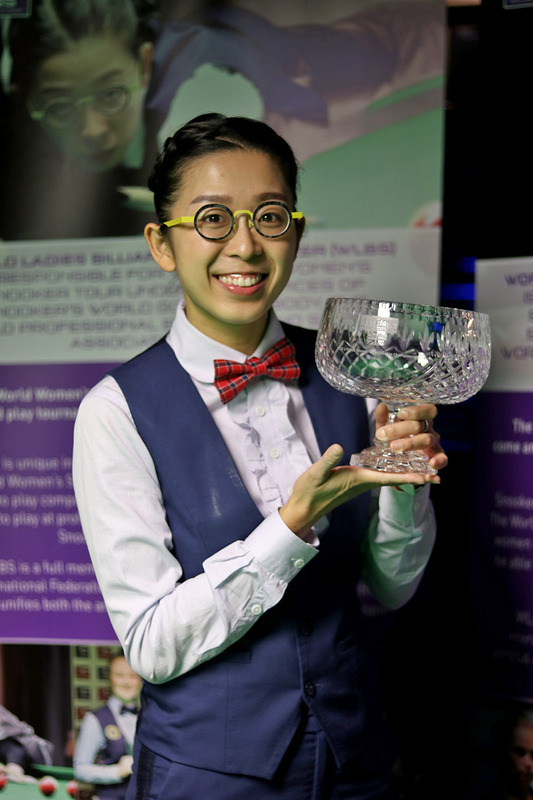 Having shared the opening two frames however it was On Yee who added the next three to complete a successful defence of the title for the first time in her career. Victory for the reigning world champion ensures that she remains at the head of the world ranking list, while beaten finalist Kenna climbs one place to equal her career-high ranking of third position. Elsewhere in the side-events, Leeds-based youngster Shannon Metcalf claimed her first ever WLBS title with victory against world number 7 Suzie Opacic to win the Challenge Cup. It was a busy day for the 16-year-old who also reached the final of the under-21s event, losing 2-1 to Nutcharut Wongharuthai. The seniors competition meanwhile saw Jenny Poulter complete the successful defence of the title that she won 12 months ago with victory against first-time finalist Yvette Greenway. World Ladies Billiards and Snooker would like to thank all of the people who supported the event, including the referees, players, our hosts at the Northern Snooker Centre and of course our wonderful title sponsor LITEtask. The World Women’s Snooker Tour returns with the inaugural European Women’s Masters on 5-7 October 2018. The deadline for entries remains open until Friday 28 September – enter HERE.